Nostalgia is defined in the dictionary as an excessive sentimental yearning for returning to some past period of time. At some point or another, everyone has experienced the feeling of nostalgia. But why do Millennials cling to the feeling like their lives depend on it? From the newest technology being filled with #tbt’s, having endless supplies of music on Spotify but still spending money to buy records, to using the internet to search 90’s and 00’s archived clothing, Millennials can’t seem to get enough of the past, and yet it continues to expand our future. There is an undiscussed feud between Millennials and Generation Z, primarily because of the phenomenon of nostalgia. Gen Z kids think that they can relate to the way Millennials grew up, but they just can’t. Gen Z’s were born into technology and, frankly, never experienced all of the great things Millennials did growing up. So hop in loser, we’re going down memory lane. Sorry Gen Z, you can’t sit with us. 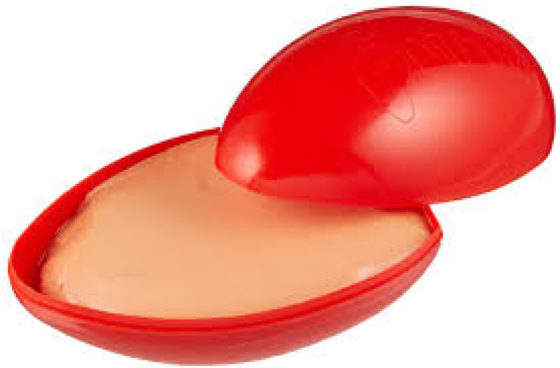 To this day, I am clueless as to why Silly Putty was stored in an egg container. Regardless, you knew when you saw the bright colored egg that you were getting Silly Putty, and that stuff slapped. I’m sitting here trying to wrap my head around why we were all so fascinated by something so simple. The thing that I’m comparing it to is the modern magnetic sand that you see all over Instagram and Twitter. It’s weirdly—but satisfyingly—mesmerizing to play with. I can honestly say that when the Scholastic Book Fair was at school, it was the BEST part of my day. Not only could you get, you know, books, but there were so many cool toys and weird knick-knacks to get your hands on. I would never leave a book fair without one of those huge pointer fingers on a stick, or the little clapping hand thing that you smack together. I still remember the exact day I got my first Tamagotchi. I also remember the day my digital pet died…(R.I.P). I always felt so cool that I had my very own pet to take care of, to feed, and to pick up after. The only bad thing that I remember about Tamagotchis is the noises it made. They were terrible. The beeping was always far too loud, and the pet was always making some sort of commotion. Ah, the world of Webkinz. It was a great time for all of us. In my opinion it seemed that when we all got Webkinz at first they weren’t online yet—we all just got them as normal stuffed animals. But when it did go online, it was (and I cannot stress this enough) life-changing. There was too much to do in the best way possible, between feeding my adopted pet to playing games to get the cold, hard KinzCash. The Wheel of Wow was my all-time favorite, but so was the Curio Shop/Gem Hunt with Arte! Somewhere, buried in the depths of my memory, are ice cream trucks. Where I grew up (super rural area upstate), we didn’t really have them, but whenever my family went on vacation, ice cream trucks were all over. Even deeper down in my memory are the SpongeBob popsicles. The packaging always looked so cute, and exactly like SpongeBob—although half of the time once the wrapper was off, his eyeballs were melting. There were a few different times where I decided to opt out of scary melting SpongeBob to go with my second favorite (and more accessible) option, a simple Push-Up. These were the little ice cream/popsicle things that were often decorated with coveted characters like the Flintstones or Scooby Doo. What a trip. Thank you for basking in our youth with me. Sigh. As we enter the real world, let’s remember our roots. We grew up in a pretty spectacular and unique time that people who grew up after us just aren’t able to relate to. Gen Z was raised in the midst of a technologic time period, which the world is still working to improve upon. This is why Gen Z’s can only try to relate to our childhood, because everything they grew up on still exists (and is only growing) so they don’t need to be nostalgic for it. So, Millennials: keep doing you and instagramming your best #tbt’s, because we had a pretty lit past.